Author and Senior Lecturer Claire McGowan has received a wave of highly complimentary reviews for her latest novel The Thirty List. The book, which has been published under the academic’s pen name Eva Woods, is described as a “giggle-tastic romcom” by The Sun’s Fabulous magazine and has also been praised by Marie Claire and The Mirror. It is the first time that Claire, who runs the Creative Writing (Crime Thriller Novels) MA at City, has published a novel in the romantic comedy genre. Published by Mills & Boon, the book follows the story of Rachel, who sets out to complete a list of challenges as she goes through a divorce following her thirtieth birthday. Claire said: “I've been teaching the Crime Thriller MA at City now for three years and it's been very exciting to branch out into writing romance/women's fiction. Author Ellen Faith is among those who have praised the novel, describing it as a “fantastic romantic comedy debut by a wonderful author”. Reviewers writing for Lovereading.co.uk have also given the book generous feedback, with readers calling her work “a perfect read”, “laugh-out-loud funny” and “totally enchanting”. 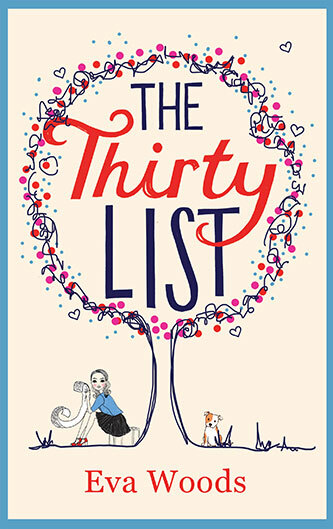 The Thirty List is Claire’s fourth book and was published in June.